February 14th is a day of romance for normal people, we call it Valentine’s Day. It means different thing to different people, many people exchange gifts, flowers or feelings with their special ones. But for Paytm founder Vijay Shekher Sharma, this valentine day was unique. He met Todd Combs, investment manager at Berkshire Hathaway on the day. And one offline meeting in Canada and two phone calls later as put by Sharma in an interview with Mint, the deal, involving Berkshire picking up 3-4 per cent stake in payments major with Rs 2,500 crore ($356 million), was made. The deal pegged Paytm’s valuation at $10-12 billion, making it the country’s most valuable startup and the second decacorn. With this Paytm has now become single firm to have got the backing from Alibaba, Softbank, and now Berkshire Hathaway. For a startup to get the abovementioned investors is dream come true. Especially for Paytm, which is loss-making and yet to prove its mettle when it comes to providing long sustainable product and business model. Last year, Paytm’s losses stood at Rs 900 crore whereas its revenue was around Rs 829 crore. In the year prior to that, its loss figure touched Rs 1,497 crore. This year losses are also expected to go up as it has increased expenditure on marketing and partnerships. The question arises, why and what led Berkshire to invest in Paytm? What is its expectation? Will there be more investment flowing into Paytm from Berkshire? While it might take longer to get to exact answers of all the questions, there certainly are dots to be connected to get what the full picture would be like. If we see Berkshire, it is globally renowned firm with the market cap around $500 Billion. Based on its past record, it is known as one of the sharpest and most astute investors in the world. Financial services companies including Goldman Sachs, Bank of America, Wells Fargo, American Express, Visa, and Mastercard are in its kitty. It is known to have turned around Goldman Sachs with $5 billion investment in 2008. Paytm being its first Indian investment, based on its scale and execution, as per the Paytm founder, the partnership might lead many financial collaborations in coming years with Berkshire portfolio firms. For Paytm, the $300 million investment is just the beginning. “Berkshire wanted to invest more than what we have accepted. We did not think it was the right time to raise more money and dilute further, as we already have sufficient capital in the bank”, added Sharma. The investment gate is left ajar, if the need arises, for the Buffet-backed firm. Berkshire too is aware of the financial opportunity Indian market has to offer. It would not like to miss it. India’s fintech industry is expected to have a turnover of $2.4 billion by 2020. From Indian perspective, it may seem Paytm needs Berkshire. But looking from a global perspective, Berkshire needs Paytm too. Besides, the presence of two big giants Alibaba and Softbank in Paytm, could lead to more future synergies involving Berkshire. Combs, who is an expert in financial services, has his own hedge fund and is on the board JP Morgan. Combs is also part of the healthcare initiative between Amazon and JP Morgan. Therefore, he can, if the possibility arises, help to partner Amazon in long run. At present, Paytm is bullish on financial services. 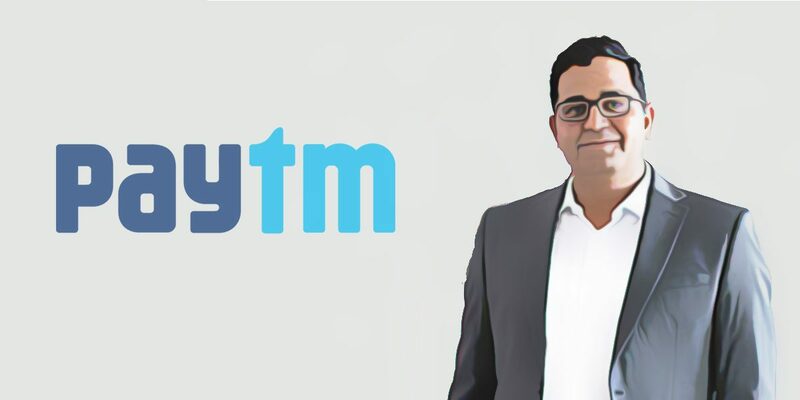 Paytm plans to invest around Rs 5,000 crore in its payment bank in the next three years to enhance payment facilities for customers. It also aims to achieve $100 billion GMV by the end of 2019. With Berkshire investment and expertise on table now, it can certainly help build Paytm into the dominant and biggest financial services firm in India.